M1 Northamptonshire northbound severe accident, between J18 for A5 and J19 for M6. M1 Northamptonshire - M1 partially blocked and queuing traffic northbound between J18, A5 (Rugby) in Crick and J19, M6 (Catthorpe Interchange) in Leicestershire, because of an accident. Travel time is around 30 minutes. M1 Leicestershire - One lane closed on M1 southbound between J21, M69 (Leicester) and J20, A4303 (Lutterworth), because of a broken down vehicle. Traffic is coping well. M1 Leicestershire - One lane closed on M1 southbound between J21, M69 (Leicester) and J20, A4303 (Lutterworth), because of a broken down vehicle and a broken down vehicle. Traffic is coping well. 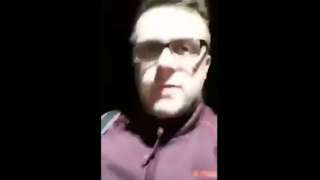 The Sainsbury's worker repeatedly swears while complaining about customers of Pakistani descent. Live coverage from the East Midlands has ended for Thursday, but some news, sport and travel will continue to appear overnight. 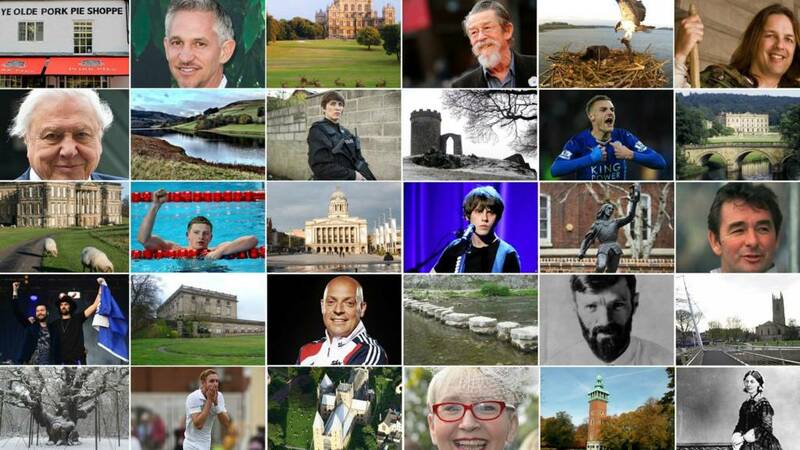 East Midlands Live returns from 08:00 tomorrow. Police believe a body found in the River Trent this afternoon is missing man Johnathan Webster. The 50-year-old, from Chellaston, was reported missing on Saturday. The body, which was found between Castle Donington and Weston-on-Trent, has yet to be formally identified. M1 Nottinghamshire northbound severe accident, at J26 for A610 Nottingham. M1 Nottinghamshire - M1 lane closed on exit slip road and heavy traffic northbound at J26, A610 (Nottingham), because of an accident. A protest has been held today against Derby City Council's plans to hand the running of 10 of the city's 15 libraries to volunteers. The shake-up, which will also involve Derby's Central Library being moved to the council's headquarters in Corporation Street, is aimed at saving the authority £648,000 a year. Protesters outside Chellaston Library said they were unhappy 41 staff members were facing redundancy and voiced doubts that volunteers would be able to sustain the current level of service. The council has been invited to comment. It will be dry for a short time during the early evening, but further spells of rain are likely to move eastwards from later this evening onwards, most of this will be light in nature. Transport schemes across the East Midlands have been awarded £17m from the government. In Nottingham, the cash will be used to help with the rollout of contactless payment on the city's bus and tram network. A total of £3.5m will be spent in Hinckley on improving signage, parking and traffic management. More than £5m has been awarded to Leicester in order to help build two new city centre roads. The money will also be used on other projects, including the extension of the waiting areas at Derby Bus Station and the provision of bus stops across Derbyshire with real time travel information. Police have named the man who died in a three-vehicle collision on the M69 earlier this month. The crash, which involved a breakdown recovery truck, a van and a BMW, happened at about 10:00 on Tuesday, October 10 between junctions one and two of the motorway. The driver of the breakdown truck, who died at the scene, has been identified as 42-year-old Christopher Hadland from Leicester. The van driver remains in hospital in a stable condition. All lines at Derby railway station have now reopened after services were stopped when a person was hit by a train earlier. However, delays are expected until 18:00 as a result of the temporary closure. Rail services are currently being held at Derby railway station after a person was hit by a train. East Midlands Trains said emergency services were at the scene but has not released any more information about the person's condition. Leicester have avoided having to play Manchester United on Christmas Eve, following the publication of the latest Premier League TV fixtures. There had been reports that the game would be moved to 24 December. The match will now stay on 23 December, but kick-off at the later time of 19:45 rather than 15:00. Leicester's trip to Newcastle and the home game against Crystal Palace earlier in December will also be shown on TV. Could you tell if you were eating a cloned Bramley apple? Hundreds of volunteers are being sought to take part in an apple-themed taste test. Visitors to this weekend's Southwell Bramley Apple Festival will be asked if they notice any difference in apple juice made from a cloned Bramley compared to juice from regular fruits. It is all part of a project being run by the University of Nottingham, who produced the clones from the original tree in 1994. The findings will then be fed back to Starkey's fruit growers, a Southwell-based company who are growing the only commercial cloned copies of the original tree. There has been concern for a number of years about the state of the original Bramley tree, which has been infected by a honey fungus. 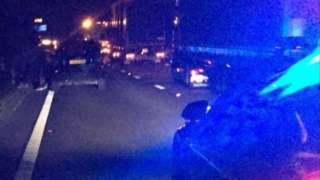 The car ran out of fuel on a section of the motorway without a hard shoulder. Burnley boss Sean Dyche has not been approached over the vacant managerial post at Leicester. 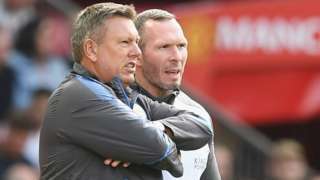 A number of reports had suggested he was one of the frontrunners to replace Craig Shakespeare, who was sacked on Tuesday. "It’s not the first time I’ve been linked," Dyche said. "You’re flattered by it. It’s some form of recognition of the work done. “It’s a paper story. I’ve never been aware of any approach." Thousands of people will gather in Leicester later this evening for what are known as the biggest and best Diwali celebrations outside India. Two weeks of cultural celebrations will be rounded off in the city with Diwali Day. Belgrave Road will be closed to traffic as people gather to enjoy the celebrations which will end with a huge firework display.